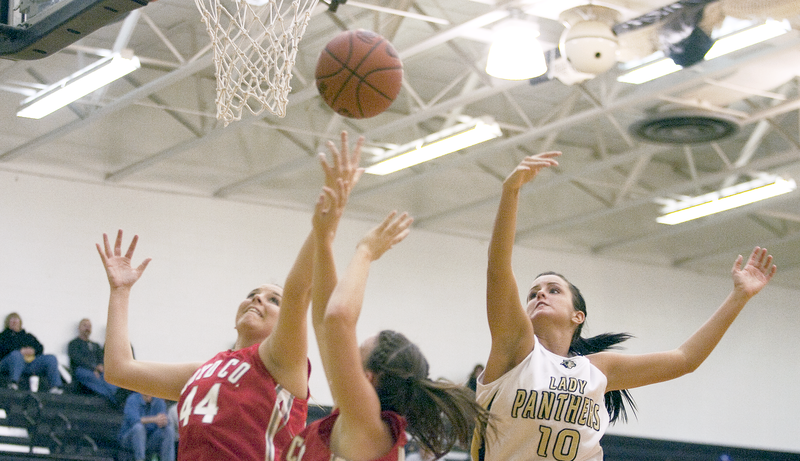 Lady Panthers fall 44-23 to Boyd Co.
Senior Marissa Brindley fights for a rebound during the first half. Junior Kyndal Curry forces a jump ball call. 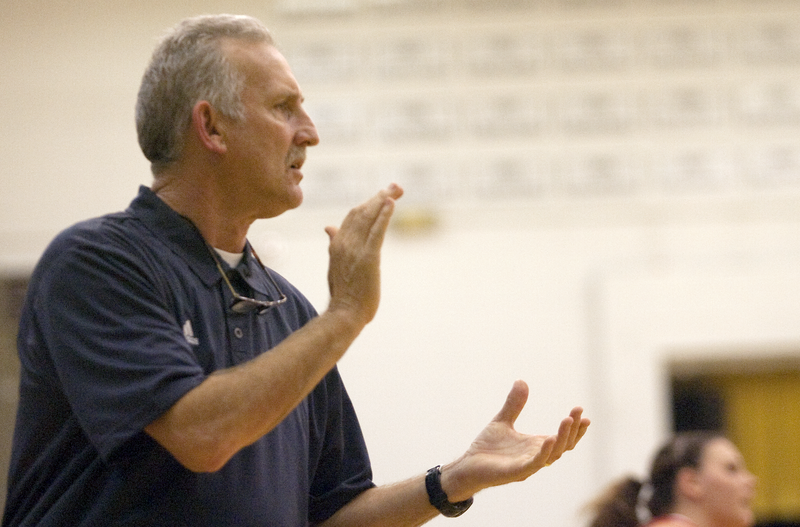 Head Coach Randy Mefford encourages his team from the sidelines.